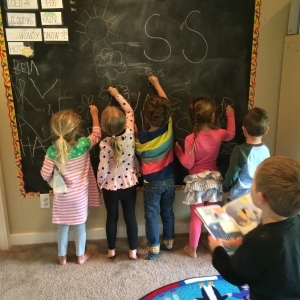 Conveniently located in West Bellevue only minutes from Bellevue Square, Julie Olsen's Place offers preschool and pre-kindergarten classes for children ages 3 to 5. With 20 years of classroom experience, our university trained teachers have carefully constructed a developmentally correct, well-balanced curriculum that not only fosters a love of learning and enthusiasm for school, but also provides a solid foundation for your child's social development and overall education. We are committed to excellence and recognize that preschool aged children thrive in a small, nurturing classroom environment that supports independence and encourages creativity while offering a wide variety of age appropriate, hands on learning activities. For more information about Julie Olsen's Place, please visit our website at www.julieolsensplace.com. We look forward to hearing from you!